ALERT--Another Seriously Cool Hard Hat! 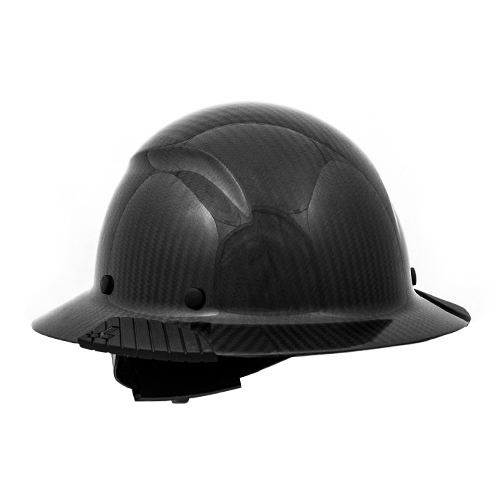 It's worth noting that for some time now we have had customers asking for a true carbon fiber hard hat. Not just one to hang on their wall, but one they can wear to work. Well, the day has arrived! 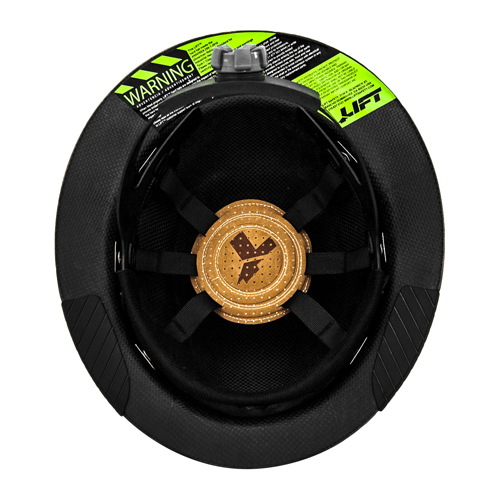 We are proud to introduce the "DAX Carbon"--built by the EVS-Sports design team, the race inspired DAX is a full brim, carbon fiber reinforced hard hat, offering a 6-point suspension system for superior comfort and impact protection. It features an innovative Clarino synthetic leather comfort dome and an oversized ratcheting fitment dial that makes adjustment easy, even while wearing gloves. * Hard hat life span may vary depending on the conditions of each work site. Hard hats subjected to more wear and tear or used outdoors in direct sunlight may need to be replaced more frequently. Daily inspections are the best way to determine when to replace a hard hat shell, suspension, or the entire unit. Suggested replacement is based on service life (based on when the hard hat was placed into service, not the manufacture date). As a general guideline we recommend replacing hard hats every five years regardless of outside appearance, but this can vary due to use and job site conditions. This hard hat is in stock at present, but please be advised that stock levels change daily and all stock is subject to prior sale. If we know an item is out of stock or not available for an extended period, we generally put that item on "pre-order" status, or we simply make the item unorderable. What is the ETA if I were to order this product? 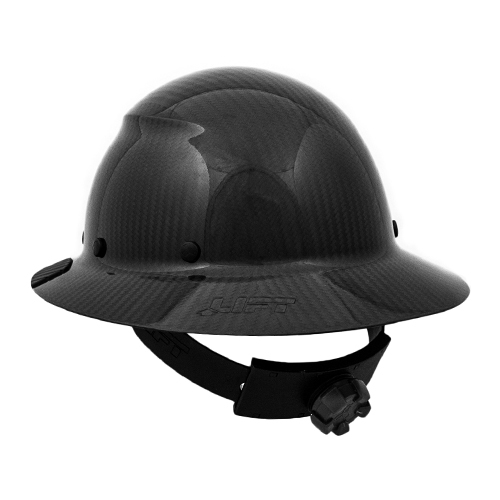 At present, this hard hat is in stock and would ship within 24-48hrs after being ordered. Please note all stock is subject to prior sale and inventory levels change daily. We are in OR, and time in transit to your zip code would only be 2-3 days. Very pleased with the hardhat. Most comfortable hard hat I've worn in 20 years of industrial maintenance and power lineman work. Lite, strong, and good looking, exceeds my expectations, and do your research on carbon fiber hard hats over plastic, aluminum or even fiberglass, much much stronger.